Today’s post marks our 30th weekly roundup! If you missed last week’s, you can read about chatbots, beacons and search functions here. Otherwise, read on for your latest instalment. Guided Selling: How can it help eCommerce? If you haven’t heard of guided selling already, it describes a software tool that asks customers a series of questions about variables such as usage and product features in order to make specific recommendations. The example above shows Luna Sandals, here you can see that they ask you what you’re going to be doing in the sandals, and as a result can recommend a pair that fits your requirements. If implemented correctly, it should help a shopper understand their needs, help them make sense of them in relation to what you have in store and it should recommend the correct products relevant to those needs. Its main purpose is to help shoppers make those complex buying decisions – with emphasis on complex decisions, not always complex products. Fewer Product Returns – Guided selling ensures that shoppers have a better understanding of what they’re buying and how it’s used thus reducing returns. More Cross Selling Opportunities – Guided selling allows online retailers to recommend products to accompany their purchase and these recommendations can be a lot more specific, and accurate. Improved Conversion Rates – When you help shoppers make good buying decisions, it may boost both your immediate sales, and sales from shoppers who are mostly convinced but need to wait a while longer. For these customers, a bookmark in the selling guide can be really useful. Companies spend a significant amount of time and resources getting consumers to install their apps, and by some estimates, apps that aren’t opened for a second time within the first 12 hours of installing can see churn exceeding 50% in some categories. Bad news. But the good news is, push notifications can be an effective tool to fight this, and an effective channel for marketing generally. According to Leanplum, marketers can increase their push notification open rates dramatically by utilising personalisation, but by how much? After analysing over 1 billion push notifications sent between January 2015 and March 2016 by both smaller and larger apps, Leanplum found that certain kinds of personalisation can increase open rates by an incredible 800%. Platform – It’s important to understand the differences in how push notifications work on different devices. For example; on average, iOS push notifications are opened within 10 minutes compared to nearly 50 minutes on Android. And not only that, but on iOS, users have to opt in to notifications and only 42% of users do that. Content – Unsurprisingly, by personalising the content of push notifications you can deliver a 4x lift on open rates. You can add personalisation by using the customer’s name, gender or even an action that they took. Delivery Type – Timing is everything, and while most companies schedule theirs in blasts, it fails to deliver the best results. Leanplum recommend that companies use machine learning algorithms “which accounts for users’ individual engagement patterns”. 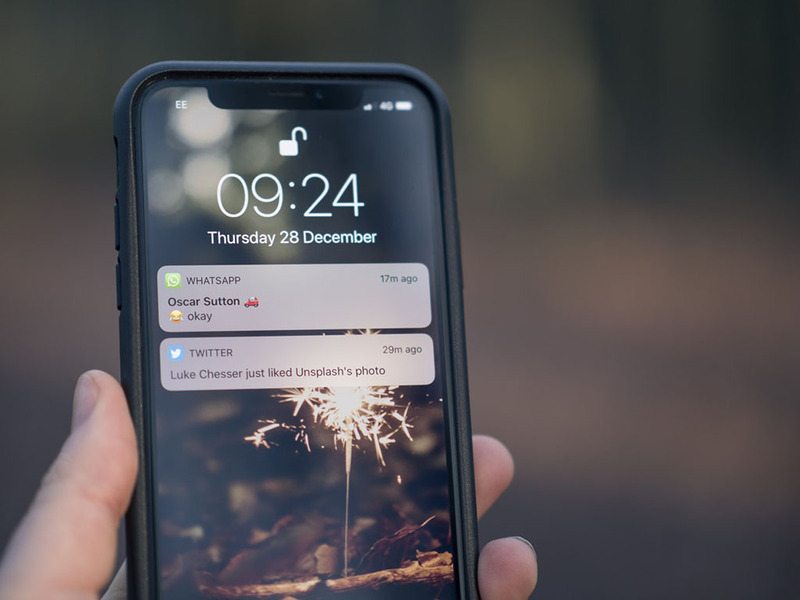 Less than 100 million of the messages they analysed were based on behaviour, but the open rate for these was 8% – 800% greater than generic notifications sent immediately. Geography – Leanplum found that users in North America opened push notifications at a higher rate, noting “the majority of North American apps all send push notifications at one time, rather than delivering them during localised times for users around the world.” Personalisation taking user locations into account still underperform compared to those scheduled by behaviour and algorithm. See more of Leanplum here. 64% of eCommerce sites impede users ability to compare the product in their list due to inconsistencies in listed product attributes. 76% of sites neglect the principles of progressive disclosure and always display the same amount of information for all product list items instead of showing progressively more data for items the user has shown an interest in. 64% of eCommerce sites make it difficult to scan and read the included product attributes because it’s all just included as one long “product title”. 1. Universal Attributes: These are essential to virtually all products throughout the site and they include product thumbnails, price, product title or type, price per unit, colours, sizes user ratings, etc. 2. Category Specific Attributes: These are unique to each product vertical and they can vary from category to category. For example; category specific attributes for toys would be “age rating” or for laptops, “screen size” etc.. The best balance between these two was found to include all Universal Attributes with 1-3 Category-Specific Attributes for each product list item. This provides the user with just enough information to compare and evaluate listed items while avoiding an information overload. Data from comScore has revealed that nearly half of all online time spent was on smartphones, with another 35% spent online via desktop or laptop computer. Female internet users in the UK spent more of their online time on mobile than any other device in April 2016. Men generally spend less of their total online time on smartphones – 48% of all time spent was on desktop or laptop computers. Both genders do share one thing in common however – very little time spent on tablets. The only people who spent 20% or more of their time on tablets were those aged 55 and older and in turn they spent less time online with smartphones than any other device. Female smartphone internet users aged between 18 and 24 spent 59% of their time online via smartphone, whereas 35-44 year olds spend 49% of their online time similarly. 53% of male 18-24 year olds spend their time on mobile whereas men aged 55 and older spend just 22% of their time in the same way. If you’re wondering what the driver is for females spending so much online time on their mobiles, the most likely cause is social media. The average female smartphone user spends 329 more minutes on smartphone social media apps than males. The scarcity phenomenon describes when a service or product is limited in availability, and so becomes more in demand. An old study in 1975 saw Stephen Worchel offer his colleagues cookies in a jar. One jar had 10 cookies and the other had 2. For some reason, his colleagues all preferred the jar with 2 despite all the cookies being identical. Scarcity doesn’t always work though. Researchers showed through four studies that scarcity has a stronger positive effect when, “salience of persuasion knowledge is low, frequency of exposure to scarcity claims is low, decision reversibility is high and cognitive load is high”. Basically, if people are noticing you going on too much about the scarcity, they’re less likely to be swayed and see it as the sales tactic it is. And if you do that, you’re going to lose their trust. If you want to explore this more, Conversion XL have compiled a list of 18 scarcity examples that work and we love it.